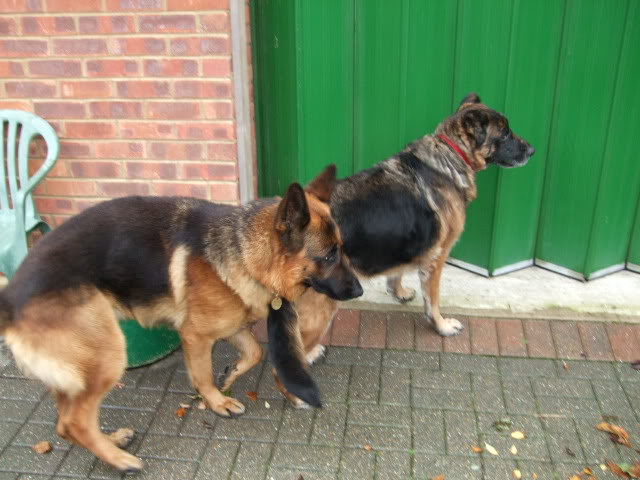 Terry has come into rescue as a stray and served his 7 days before being put up for a rescue to take him in. 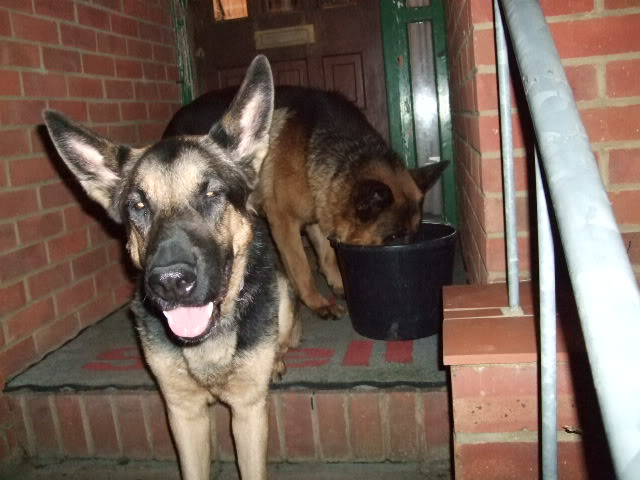 He is staying with John in Chertsey, Surrey until Lynne of K9 focus can take him into there rescue. 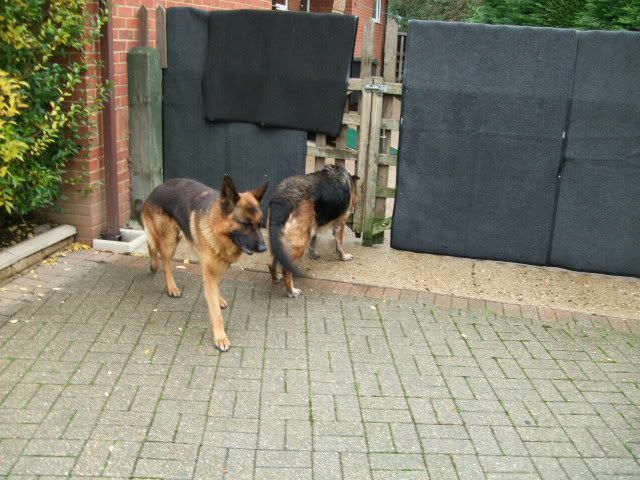 Since arriving he has met Keisha one of John's rescues looking for her new home. He has a wonderful nature which has shone through at this very early stage. John has given him the name of Terry until Lynne decides what she would like to call him. 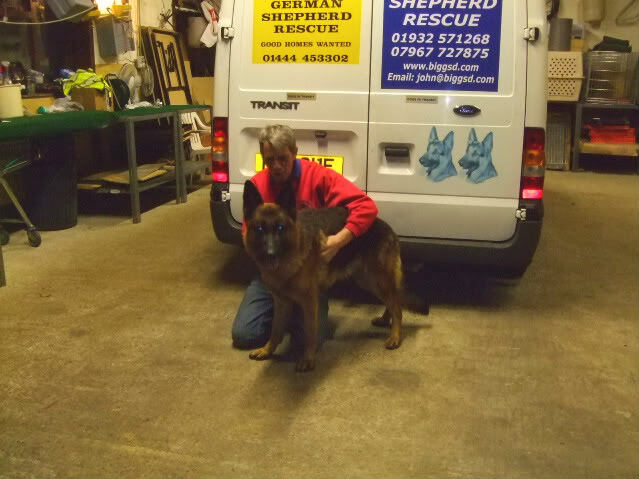 Terry with Colin who picked him up & took him to John. 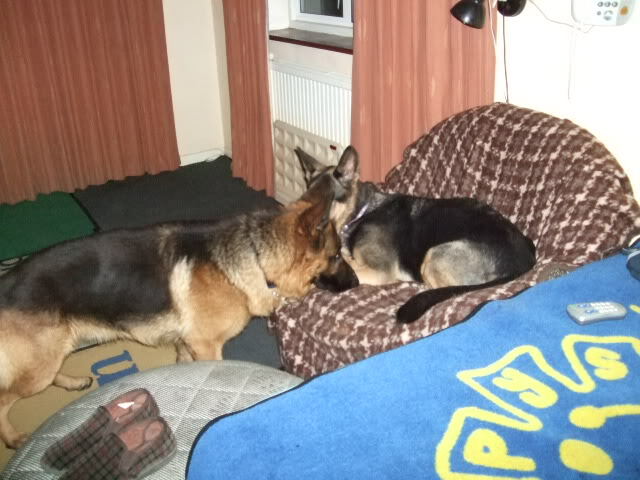 I'll be friends with you Terry But just remember this is MY chair. 'The flash photography doesn't really do him justice in the previous photo's as he has gorgeous black & gold markings. 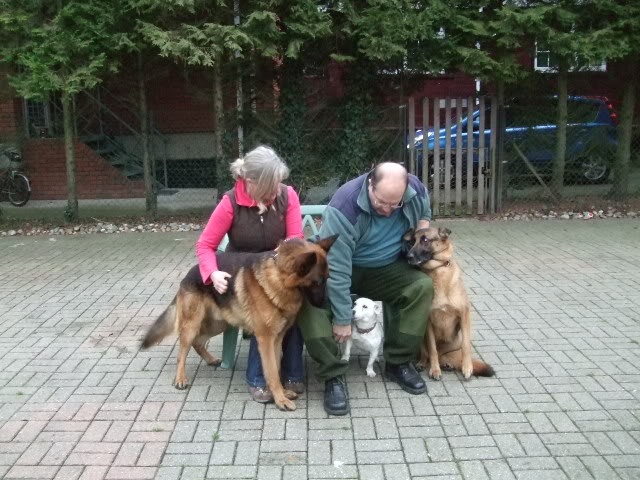 This was the photo I took of him with the kennel girl just as we were leaving the pound. 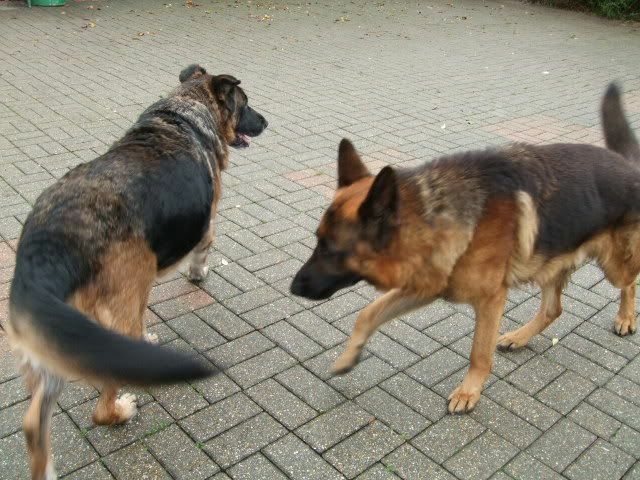 From the moment he saw me at the pound , his little tail just didn't stop wagging & I was greeted by the most friendliest, happy, good natured dogs I have ever had the pleasure to meet. As soon as I opened the back doors of the van, he was in. Plonked himself down as if to say , that's it, I'm home. All the way from North London to Johns I heard absolutely nothing from him as he had settled down straight away. 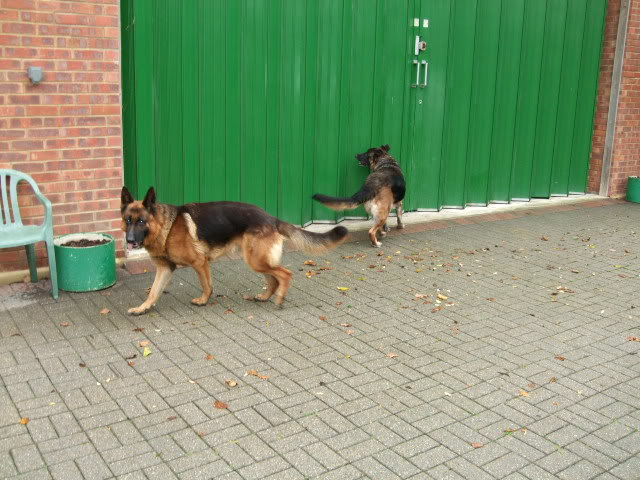 Upon arrival, as soon as the back doors were opened there was the same happy, smiley face I saw not an hour earlier & yep, you've guessed, the tail was going a good un. He was a little unsure what we were doing when we had to cut the original collar off he came in with, as it had been wired through the loops but did he complain? Nope, he just tucked his head under my arm as if just asking for re-assurance that everything was ok. There is no doubt that if he was a girl we would have named him Lena. He just likes to be close to you for that extra bit of comfort but within a few minutes, he was out & about checking out (& watering) John's yard. But when he is by your side, he loves to lean into you. 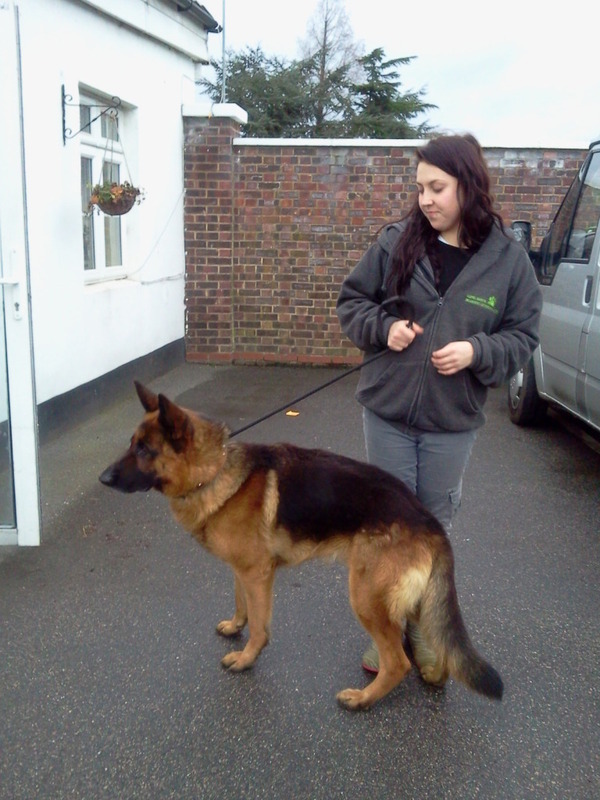 He doesn't know a lot of commands but he is so easy going, he would be a pleasure to train. 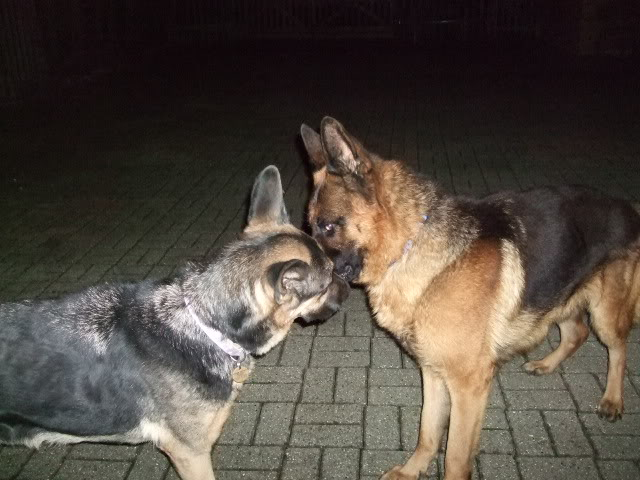 Terry has been making friends with another of John's rescue dogs Kim.